Shadi Mubarak Scheme for Muslim Brides in Telangana State, TS govt issued guidelines for Shadi Mubarak Scheme, GO.No.4 Shadi Mubarak Scheme Details, Cash benefit scheme for Muslim Brides as Shadi Mubarak Scheme. Telangana CM has already launched the Kalyana Laxmi for Dalits and Girijan Brides. The government has decided to provide financial assistance of Rs. 51, 000 to the family of girl child to perform their marriage and named the scheme as “Kalyanalaxmi”. Now here in India such a scheme is in existence. One should feel proud for introducing such a scheme in Telangana. This reduces burden on the Girijan and Dalits families. Now Rs. 51,000 Cash Benefit Scheme to the Muslim Brides has been named as ‘SHADHI MUBARAK’ by the Chief Minister Sri. K. Chandrashekar Rao. In this connection T Government has issued a government order for Shadi Mubarak Scheme for Muslim Brides. Under the Scheme, a one time financial assistance of Rs. 51,000/- at the time of marriage shall be granted to every unmarried girl belonging to the minority community with effect from October 2, 2014. This GO details are provided here. Minorities Welfare Department -“ Shaadi Mubaarak Scheme” for extending financial assistance of Rs.51,000/-(Rupees Fifty one thousand only) to each girl belonging to the Minority at the time of marriage residing at Telangana State -Orders- Issued. 1. G.O.Rt. No. 340 Minorities Welfare (Wakf- III) Department, dated 21-07- 2008. 2. G.O.Rt. No. 123 Minorities Welfare (Wakf- III) Department, dated 24-04-2012. Government have introduced the “Kalyana Lakshmi Pathakam”/ “Shaadi Mubaarak Scheme”, wherein one time financial assistance of Rs.51,000/- is given to every bride of all Scheduled Castes, Scheduled Tribes, Minorities, Backward Classes and Economically Backward Classes on their marriage, subject to the conditions specified in the Government orders issued from time to time. 2. In the reference 1st to 3rd read above, orders have been issued for enhancing the financial assistance from Rs.51,000/- to Rs.75,116/- under the scheme ‘Kalyana Lakshmi Pathakam’ and ‘Shaadi Mubaarak’ w.e.f.01.04.2017 to all the Scheduled Castes, Scheduled Tribes, Minorities, Backward Classes and Economically Backward Classes unmarried girl. 3. 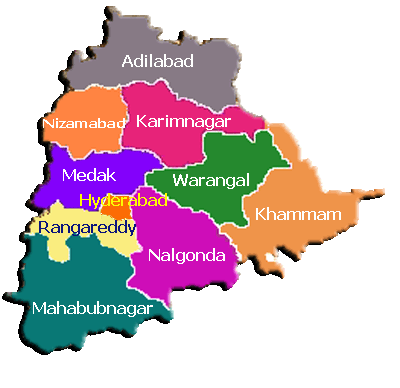 In the reference 4th read above, Government have nominated the BC Welfare Department, Telangana as Nodal Department for monitoring of “Kalyana Lakshmi Pathakam / Shaadi Mubaarak Scheme” being implemented by Scheduled Castes Development Department / Tribal Welfare Department/Minorities Welfare Department / Backward Classes Welfare Department. 4. Government have further reviewed the Scheme and after careful examination of the matter in detail, hereby enhance the financial assistance from Rs.75,116/- to Rs.1,00,116/- under the scheme “Kalyana Lakshmi Pathakam / Shaadi Mubaarak Scheme” w.e.f.01.04.2018 to all the Scheduled Castes, Scheduled Tribes, Minorities, Backward Classes and Economically Backward Classes unmarried girl. 5. The Chief Commissioner of Land Administration/Commissioner of Backward Classes Welfare Department/Scheduled Castes Development/ Tribal Welfare/Minorities Welfare, Telangana, Hyderabad shall take immediate necessary action accordingly. P.T.O. 6. This orders issues with the concurrence of the Finance (EBS.III) Department vide their U.O.No.1157/A/75/A1/EBS.III/2018, Dated.03.04.2018. (a) The combined income of the Parents shall not exceed Rs. 2,00,000/- per annum. (a) Applicants shall apply online for the Telangana “Shaadi Mubaarak” by accessing the website at the following site: http://epasswebsite.cgg.gov.in through any MEESEVA Center. 4. The “Shaadi Mubaarak” cannot be combined with any other scheme such as the incentive award for inter-caste marriages with Scheduled Castes and Scheduled Tribes. 5. The “Shaadi Mubaarak” is only a one time financial assistance and can be availed only once in the life time. 6. The District Minority Welfare Officer of the District shall process the applications and after due verification of the documents sanction the amounts to be payable in the bank accounts of the Bride as furnished on the online system. All such claims shall be made through uploading online bills for the scheme. 8. The Commissioner/ Director, Minorities Welfare shall ensure that necessary software is enabled on the e-pass website at http://epasswebsite.cgg.gov.in and Mee Seva centers to ensure applications under the scheme. 10. This orders issues with the concurrence of Finance (EBS.III) Department, vide their U.O. No.297/PFS/2014, dated September 16, 2014. G.O.MS.No. 25 Dated:6-07-2016: Shaadi Mubarak Scheme for extending financial assistance of Rs.51,000/- (Rupees Fifty One Thousands only) to each Girl belonging to the Minority at the time of Marriage residing at Telangana State – Modification of Procedure – Orders - Issued. 1) G.O.Ms.No.4, M.W. (Estt.I) Dept., dated 25-09-2014. 2) G.O.Ms.No.6, M.W. (Estt.I) Dept., dated 27-10-2014. 3) G.O.Ms.No.9, M.W. (Estt.I) Dept., dated 30-03-2016. 4) U.O.Note No.5249/SCD.POA.A1/2016, SCD Dept.,dated 24-06-2016. In the G.O. 1st read above, orders have been issued introducing the “Shaadi Mubarak Scheme” to all minority communities unmarried girls on their marriage with a view to alleviate financial distress in the family under the Scheme, a onetime financial assistance of Rs. 51,000/- at the time of marriage shall be granted to every eligible Minority Girl with effect from 2nd October, 2014. In partial modification and further instruction of the orders issued in the G.O. 1st read above, certain further guidelines & instructions were issued in the G.Os. 2nd & 3rd read above. 2. Government noticed certain hardships/lapses in process of field verification, preparation and submission of bills in the Treasury, sanctioning in the Treasury and finally transferring the amount to the Bride’s Account etc. i) Only Tahsildars will process & verify the applications received under “Shaadi Mubarak Scheme” instead of present system of processing & verifying by Executive Director, TSMFC/Dist. Minorities Welfare Officer, Minorities Welfare Department. ii) Beneficiaries list will be Approved/Countersigned by the concerned Constituency Member of Legislative Assembly. The approved hard copy will be retained as a record and the same will also be scanned and uploaded in the Online System. iii) Approved/Counter Signed Beneficiaries List be sent to the District Minorities Welfare Officer concerned for preparation and make ready the preprinted Cheques for distribution by the MLA. iv) Cheques will be distributed by the concerned constituency MLA to the beneficiary once in a week, on a specific day, at Mandal Head Quarter/Taluqa Head Quarter as per wish of MLA. v) Cheques will be issued as in case of C.M.R.F. (as in the C.M.R.F. Programme, herein also pre-printed Cheques to be made available to the District Officers of the Welfare Departments from the Treasury). vi) Cheque will be issued to the beneficiary instead of present System of Transferring amount to the account of the beneficiary through Online. vii) Crossed Cheque will be issued in the name of the Mother of the Bride instead of present System. viii) Aadhaar Card of the Bride and Bridegroom are mandatory and shall be scanned & uploaded, in order to avoid misuse. 4. The Director General, Centre for Good Governance, Telangana/the Director, Centre for Good Governance, Survey No.91, Near Outer Ring Road, Gachibowli, Hyderabad shall take necessary immediate action in providing login facility in the e-Pass Website to Tahsildars to receive and clear all the applications in respect of “Shaadi Mubarak Scheme” in due consultation with the Director, Minorities Welfare, Telangana State, Hyderabad. 5. The Director, Minorities Welfare, Telangana State, Hyderabad shall take necessary immediate action accordingly. 6. The Finance Department shall issue necessary instructions to the Treasury Officials to take necessary action as per Para-(3) above.